Jalapeño. Honey. Butter. Seriously? They had me with just those three little words. 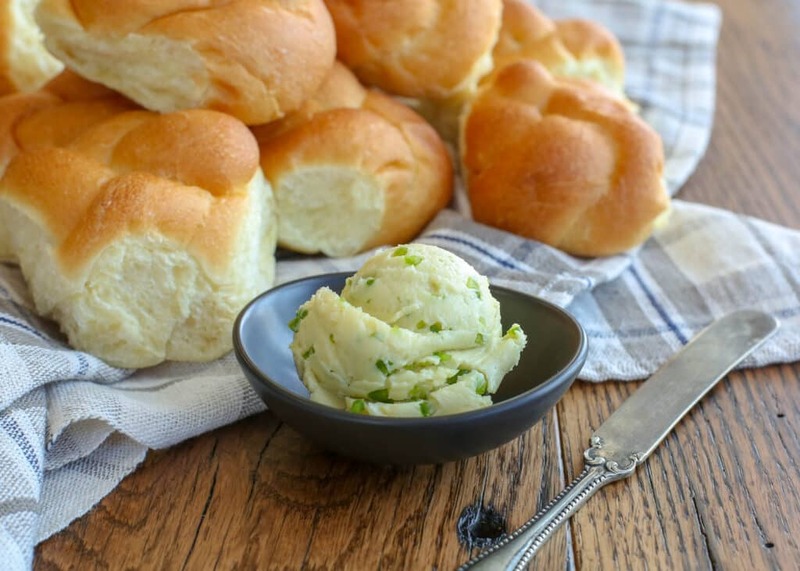 I will happily spread butter on pretty much any form of carb deliciousness, but herb butters? whipped honey butter? fruit butters? and now this Jalapeno Honey Butter? I’m in heaven. I’ve partnered with Princess Cruises to share this recipe with you today and I’m pretty excited about that. While we were cruising onboard the Caribbean Princess last week, we had dinner at Planks BBQ. Planks BBQ is one of the specialty restaurants onboard the ship and it’s a fun spot for breakfast, lunch, or dinner. 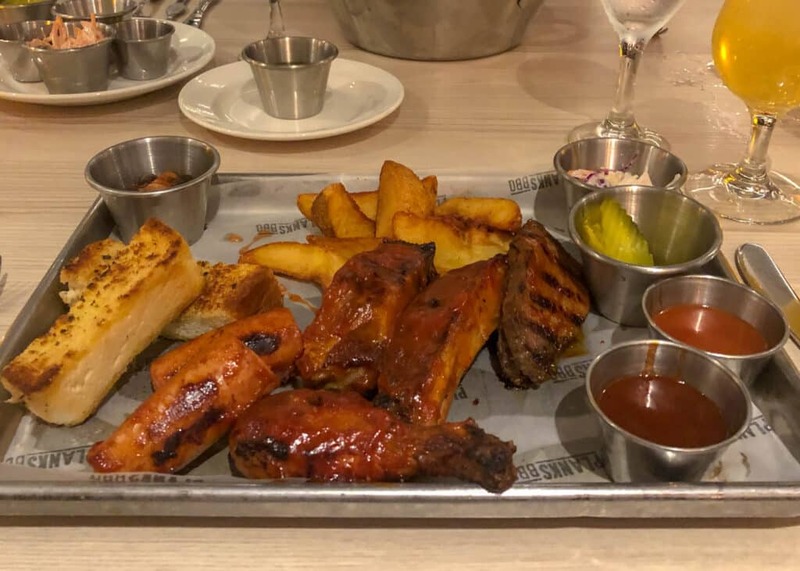 Dinner at Planks BBQ carries a cover charge of just $12 per person, which includes a starter, four meats, chili, coleslaw, seasoned fries, and an amazing dessert selection. The restaurant also serves a buffet-style lunch at no charge, with signature soup and freshly tossed salad, as well as regionally inspired sandwiches. Planks BBQ serves a buffet-style breakfast as well, also at no charge, this includes savory breakfast bowls customized for you. As soon as the waiter set the bread basket on the table along with the ramekins of butter, I grinned. (The way you do, right?) But when he told us that this was a Jalapeño Honey Butter? I was all in. What’s not to love about a sweet and spicy BUTTER? Nothing. That’s the answer. There is nothing I don’t love about this. And truthfully? If you are leery of the jalapenos or spicy heat just isn’t your thing? This honey butter recipe is still pretty amazing without a single jalapeno in it. Why make a whipped butter? Have you ever wondered why restaurant butter often tastes better? 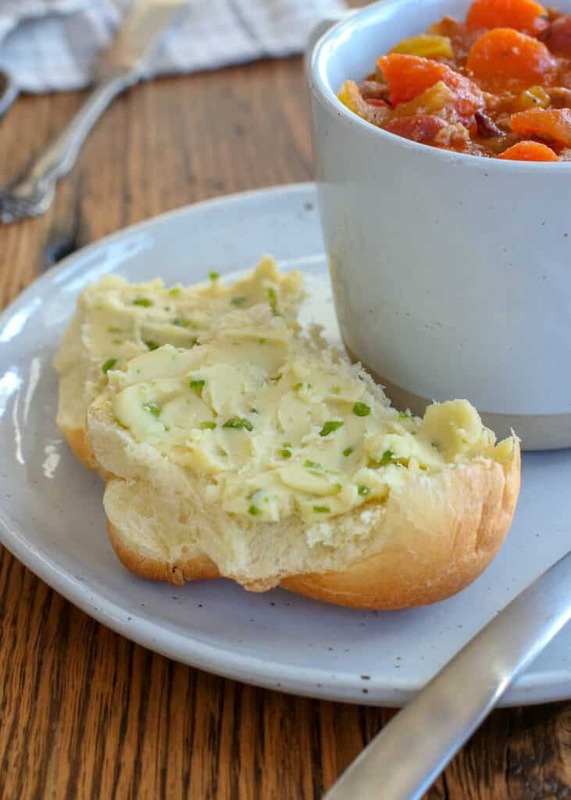 That’s likely because restaurant butter is often whipped with a bit of water or milk, honey, or herbs and spices to make it extra creamy and spreadable, in addition to being more flavorful. Whipped butters only take a few extra minutes effort, but they make each bite that much more special. 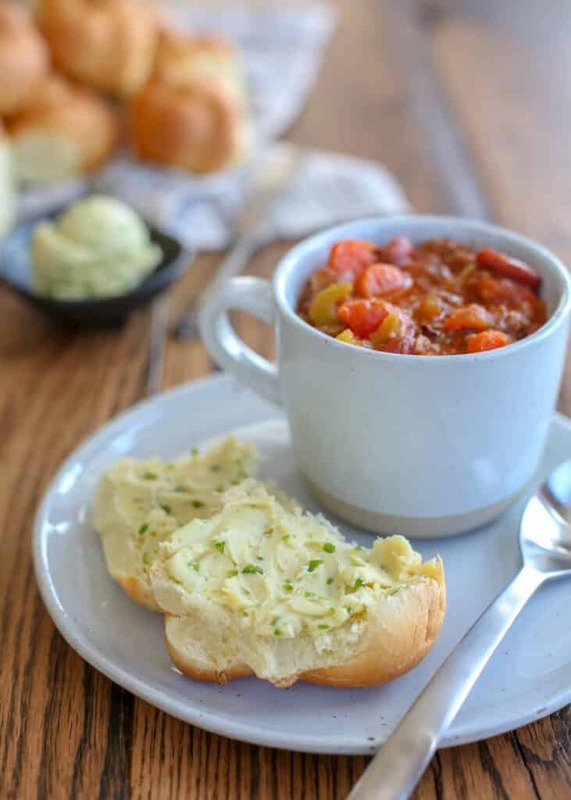 Try this recipe and see for yourself! I flew home from our cruise on Saturday and you can bet that on Sunday I was mixing up a batch of this butter to share with my guys. As soon as I tasted it on the ship, I knew that they would love it as much as I do. I lucked out and Sean made a batch of Hearty Italian Beef and Vegetable Soup for dinner. 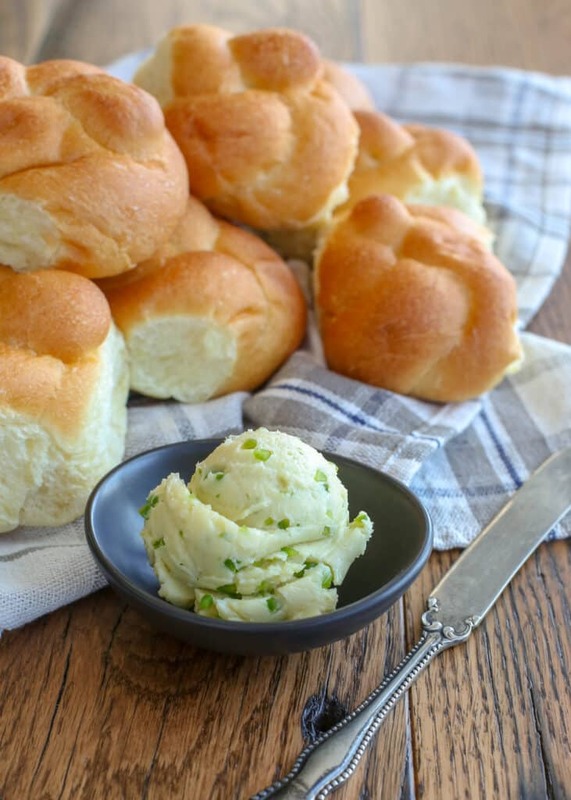 Dinner rolls and the Jalapeno Honey Butter were a perfect combination. It was a big enough hit with my whole family, I think they’ve forgiven me for playing in the Caribbean while they were home in the snow. Naturally, I needed to make more butter, so that I could share it with you all asap. If you are leery of the heat, reduce the jalapenos. However, the jalapenos honestly don’t add a great deal of heat to this recipe. Like I often say, we love a bit of heat with our food. Just add the jalapenos slowly and stop adding them when you’re liking the flavor balance. I recommend tearing pieces off a roll to “test” the butter while you’re making it. That’s why they call it “cook’s privilege,” right? Butter + Honey = Honey Butter. It really is as simple as that. Just don’t take any shortcuts with beating the butter until it’s nice and fluffy. You can simply stir honey into room temperature butter for a honey butter recipe, OR you can take a couple minutes to whip the butter with a tablespoon or two of milk or water before adding the honey. I’ll tell you now that it makes a difference. If you want a closer copy of the restaurant’s butter, you’ll want to halve both the honey amount and the jalapeno amounts that I’ve listed in this recipe. Me? I’m all about kicking up the heat and adding a little more sweet honey flavor to it. 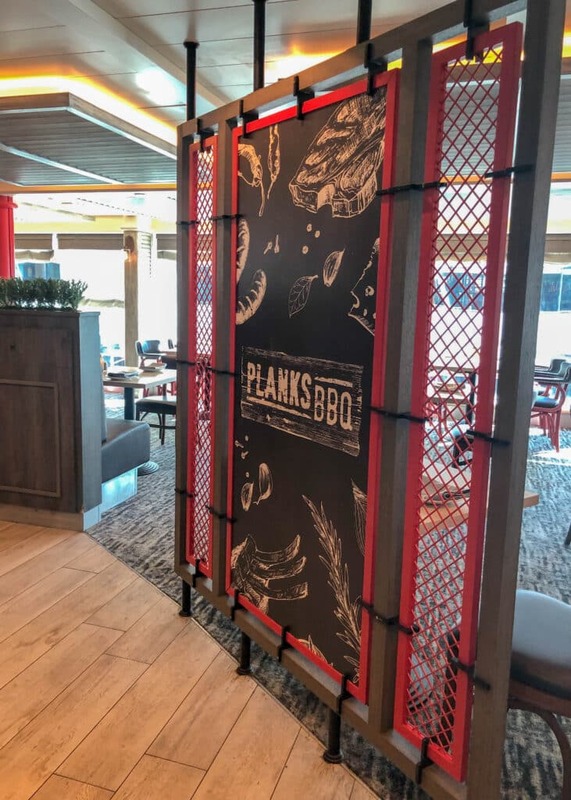 If you’re ever fortunate enough to be cruising on the Caribbean Princess, you really do need to put Planks BBQ on your must-try list. It’s a terrific spot for breakfast, lunch, or dinner! The butter at Planks BBQ was fantastic, don’t get me wrong, but this recipe? I could probably eat it off the spoon. And it’s even better with a dinner roll, or toast, or even on a cracker. 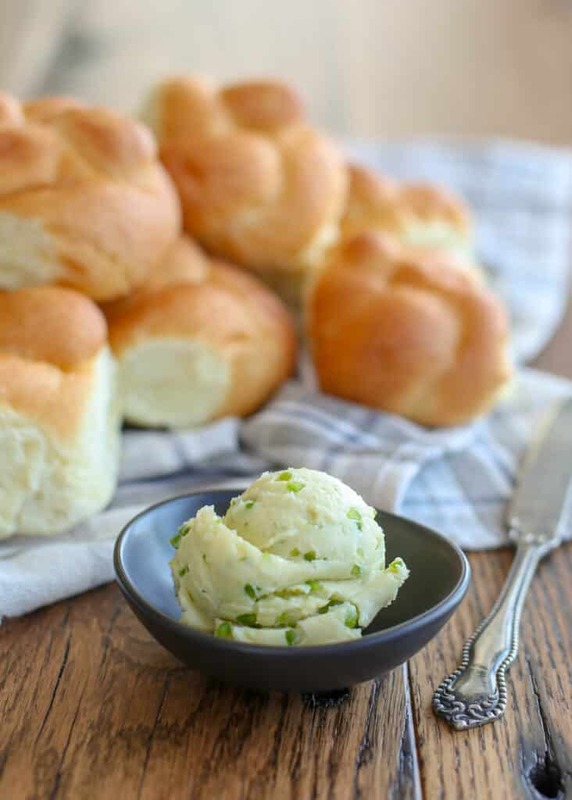 If you enjoy sweet and spicy combinations, you are going to love this recipe for Jalapeño Honey Butter. Serve this on ham and cheese biscuits, cornbread, buttermilk biscuits, warm tortillas, fresh bread or toast. Pretty much anything you might want to butter will be made better with Jalapeno Honey Butter. I absolutely love these Sausage and Cheese Biscuits (I usually have a stash of them in my freezer for easy breakfasts!) and I’m betting they will be amazing with a schmear of this butter. And if you’re a fan of compound butters and whipped butter spreads, you’ll want to check out this Peppery Dill Compound Butter and this Whipped Strawberry Butter too. Kitchen Tip: This butter will get a little bit spicier the longer it rests. I like to make it a day ahead whenever I can. In the bowl of a stand mixer, or a large mixing bowl, whip the butter along with a tablespoon of milk for 2-3 minutes until it is light and fluffy. Add the honey, while mixing, and beat for another minute, until well combined. Add the jalapenos and beat just long enough to mix throughout the butter. Scoop into a jar and use immediately or chill until needed. Bring to room temperature when ready to serve. Creamy sweet butter with a hint of heat from spicy jalapeno peppers. In the bowl of a stand mixer, or a large mixing bowl, whip the butter with the water for 2-3 minutes until it is light and fluffy. 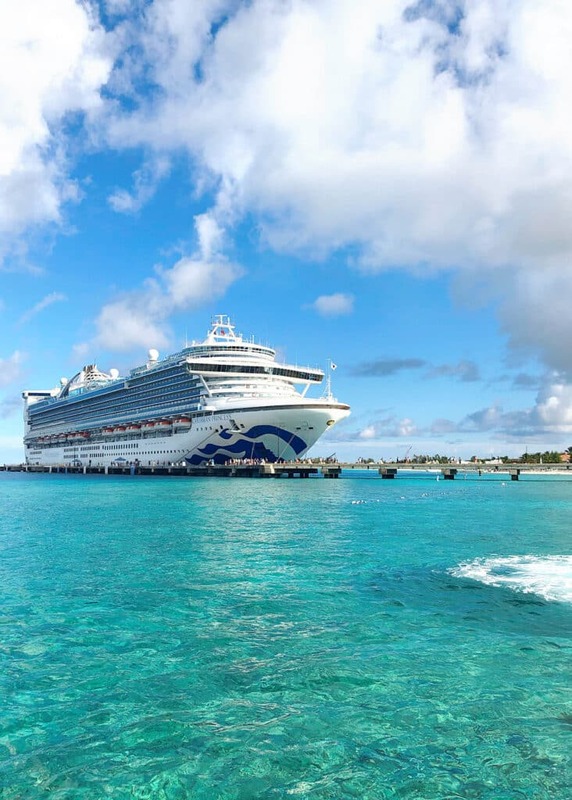 To see more of our Caribbean cruise, check out my thoughts on the new OceanMedallion. And a special thanks to my girl Christi for snapping a photo of the super cute entrance to Planks BBQ because I was clearly all about the food and barely remembered to grab a shot of my own dinner. Thank you for this recipe! 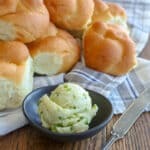 But, I couldn’t stop drooling over the cloverleaf rolls! 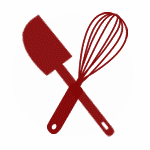 Do you have a recipe for them that you can share or are they store bought ? Awe, thank you! I do love a great homemade roll, but these actually came from the store. My roll making skills aren't on par with these! Hey Mary, oh that looks delicious, Your pal Rebecca from foodie with family, has that awesome recipe for candied jalapenos. I have a super brother in law who makes them and we have used those in butter to slather on warm toast etc. There is another recipe for no knead jalapeno cheddar bread that I also use those jalapenos in, So good. That cruise sounds so fun. Hope you are getting settled in OHIO, I am next door near Pittsburgh PA airport area. Have a nice day. I LOVE Rebecca's jalapenos. I'm so glad you do as well. I couldn't get enough of this butter on the ship at Planks! I cannot even wait to whip up my own batch and slather it on everything. I was thinking of basting a pan seared steak or pork chop with it! Oh my gosh, this butter was to die for!! I was in hog heaven slathering this on their bacon cheddar cornbread at Planks. So yummy! How on earth did I miss the jalapeno butter!! This sounds like something I would love! You need to try it, Tanya!